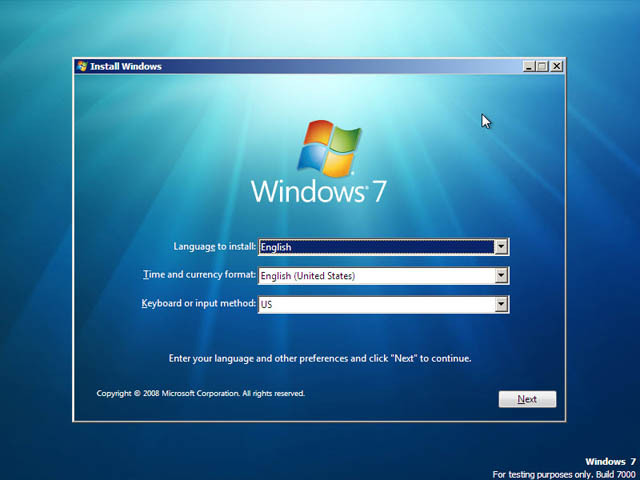 Windows 7 is an operating system produced by Microsoft for use on personal computers, including home and business desktops, laptops, netbooks, tablet PCs, and media center PCs . 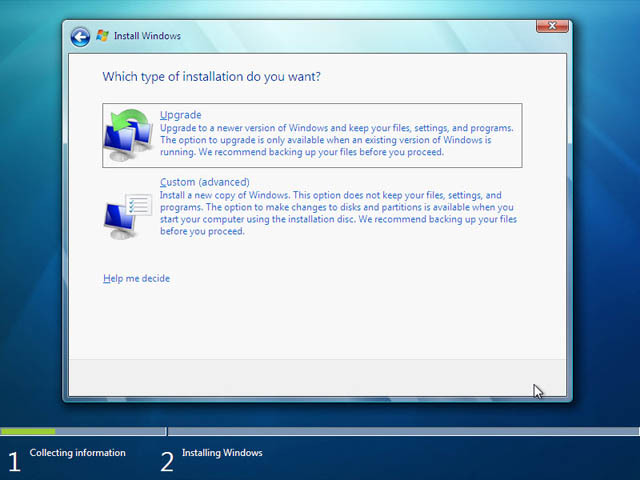 Installing Windows 7, first step, put the DVD in to the drive and make sure your BIOS is set to boot from the drive. 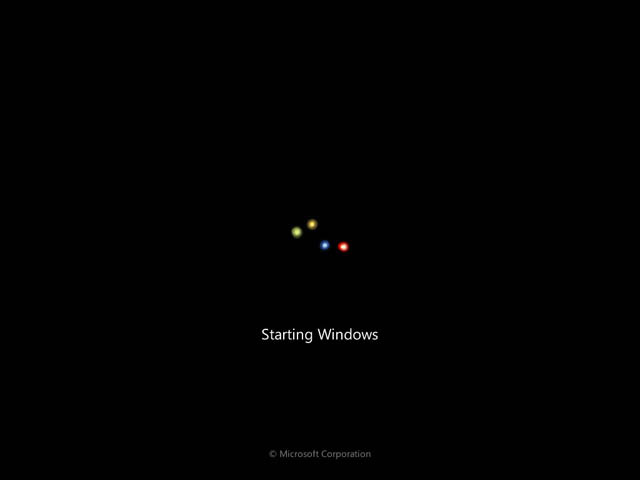 Pretty standard Windows setup screen here. WOW, some pretty lights as the setup program starts, a nice twist. I'm all for the bells and whistles! Alright, dialogue boxes, now we're talking! All I ever wanted was something to click on, pretty basic here, just select where you are and the language you speak. lets hit the Install Now button, so far pretty easy. Taking this from a person who has never done this before, there's nothing really to worry about during this installation up to this point. Let's see if it holds true throughout the process. 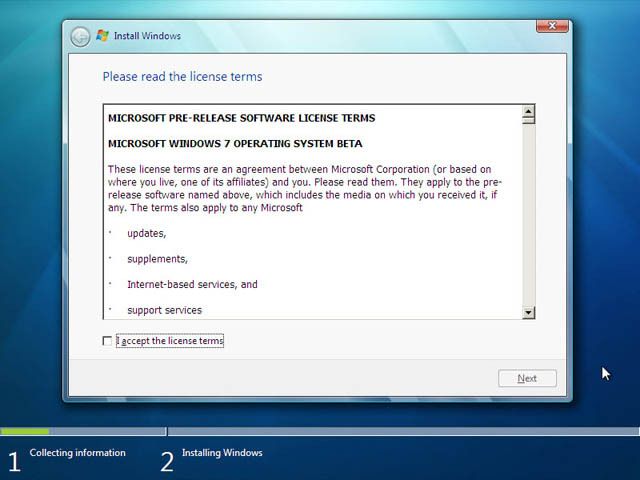 You even have to acknowledge open source project licenses, so no surprise here. Terms of course updated with each beta release, as they will be updated for the final release as well. Ever wonder how many people Microsoft has working on this? So this is what you get after you click Custom on the previous screen. 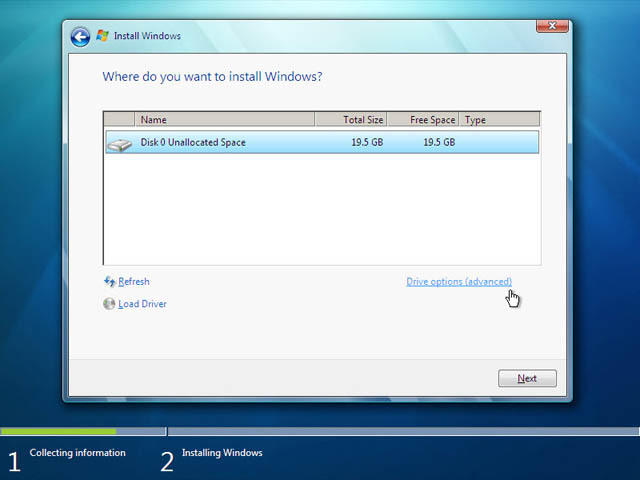 I suppose this could be a little confusing for the non geek installer, especially if there is a list of multiple partitions. Though by now I'm sure a lot of casual users have gotten somewhat of a grasp on what a hard drive is. I hope so anyway. 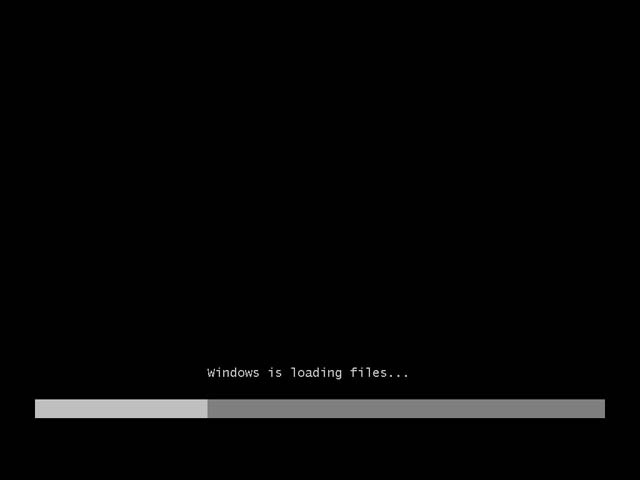 I didn't go to the Advanced tab to do any partitioning or formatting, as I had one partition on this test I just clicked next. Alright, let the installation begin! Here setup copies archives over for extraction and installation on the hard drive. The files copied over pretty fast, now on to the extraction process. This didn't take long at all, about 6 minutes. 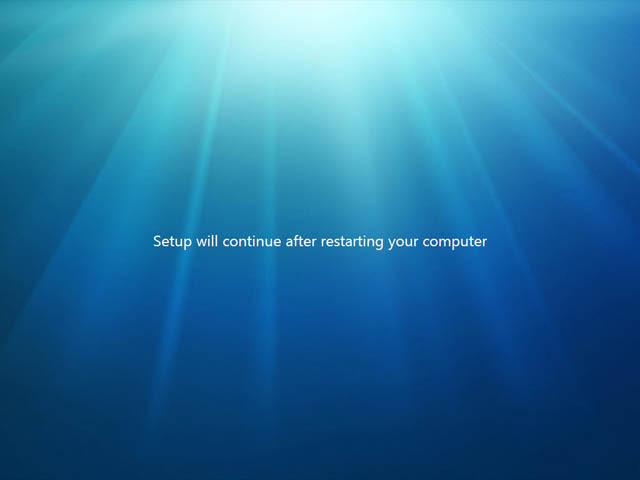 OK, so files were extracted, now setup needs a restart to continue. No big deal, this part of the process went by quickly. Cue the boot images from the start of this blog. OK, so here we are, after the reboot and right back at it. 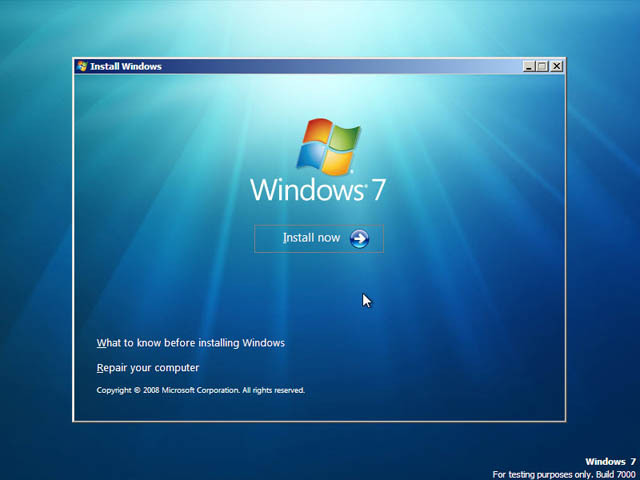 Windows 7 starts services to continue installation. 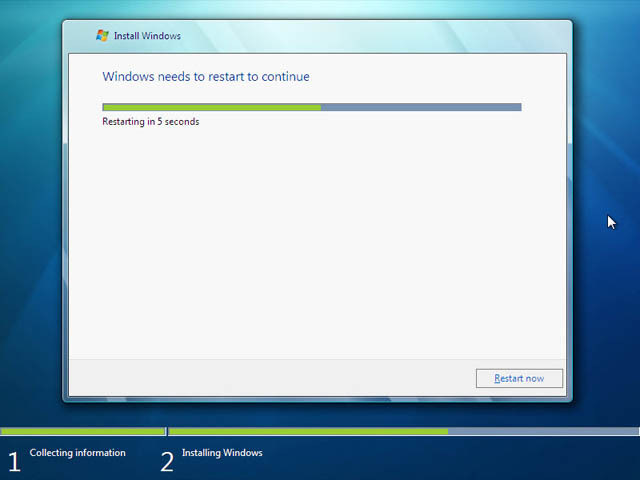 A quick glance back over to Windows 7's installation progress bar. 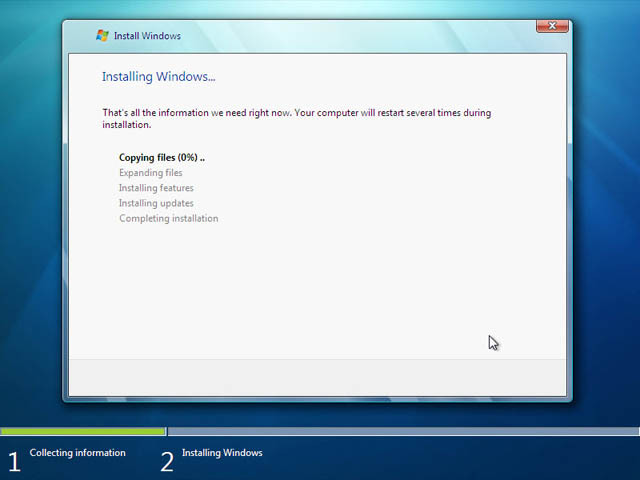 I think really just to see the "Completing Installation" text. Cute. 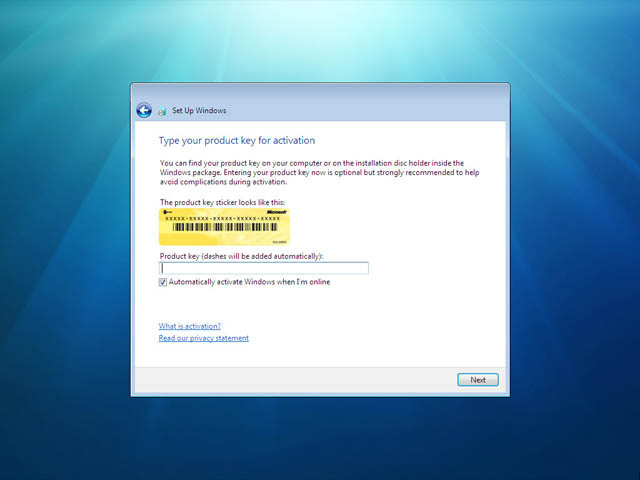 A change from Vista, here on the Windows 7 installation it asks for the product after Windows is installed, for both systems though you can hit next without putting in a product key, this will install Windows 7 in a 30 day trial mode. If you have Serials Just type. It's always good to set the clock! 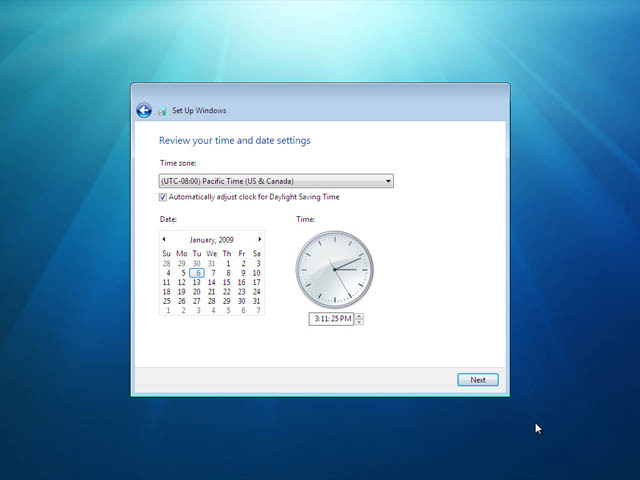 Windows 7 needs to know what time it is! You can really leave this as anything, just set your time zone and date. 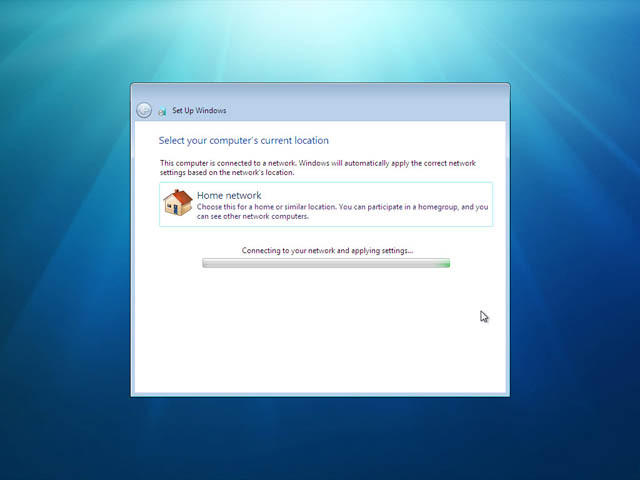 Once Windows 7 loads you can click on the clock and update from the Internet. 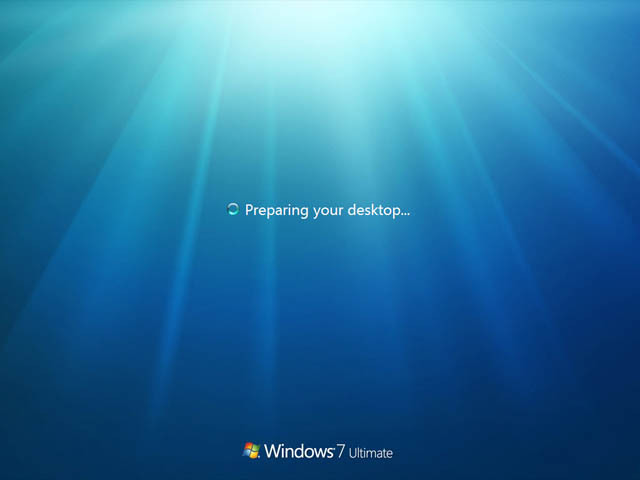 Though I'm sure most people have previously set the time on their PCs, so Windows 7 should have that here already - just might need to change the timezone. Picking the network location. 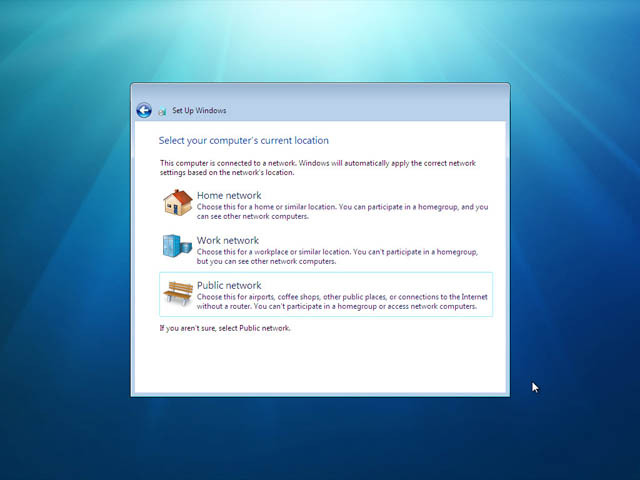 Just as in Windows Vista, Windows 7 wants to know where you are, this determines how the OS will set file sharing and network discovery settings. 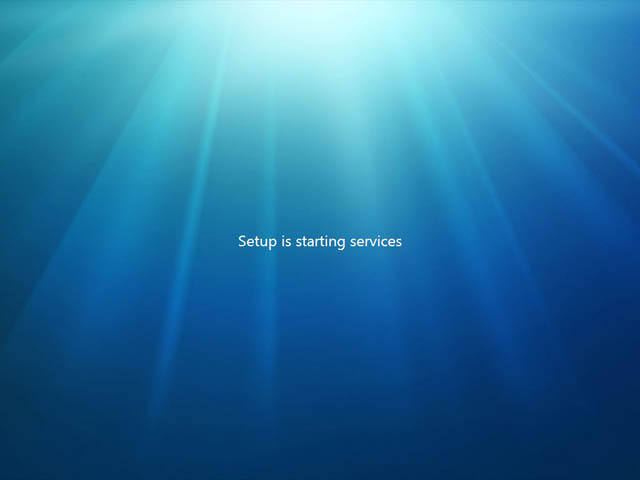 And here Windows 7 sets those settings for file sharing and network discovery. 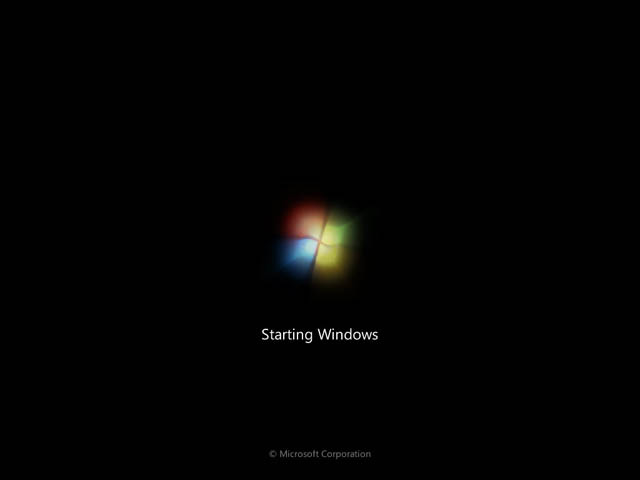 If you can remember the misery of setting up a network adapter in Windows 3.x or Windows 95, you might get a feeling of satisfaction at this screen. I know I did. Cool new feature for a Home group. This feels like setting up a Media Extender. I like the idea, even more security for your networked files, and with an 1-2-3 setup like just entering a network code in to Windows 7 to automatically join together it's even easier than setting up Windows shares and editing network properties, like a workgroup. At this point - I can taste it! It just feels like it's almost done and I can't wait. 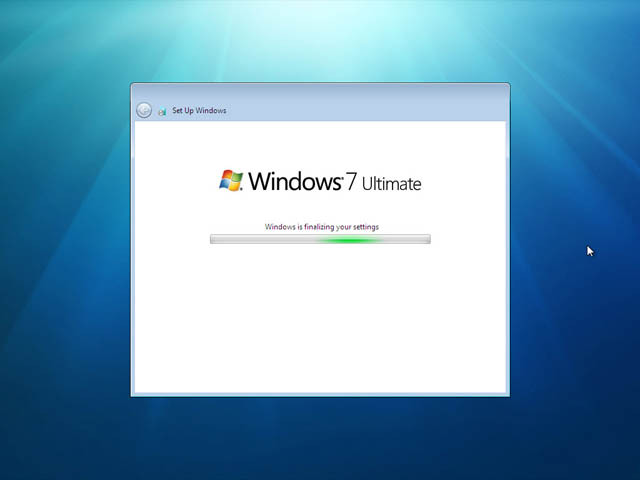 Windows 7 here we come! Yes, Windows 7 welcomes me! 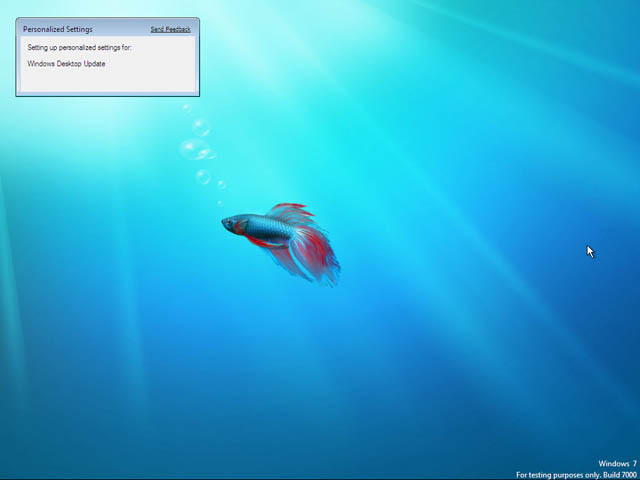 I can feel it, I'm only seconds away from my full glory of Windows 7 beta 1 installed and running! And I'm in! 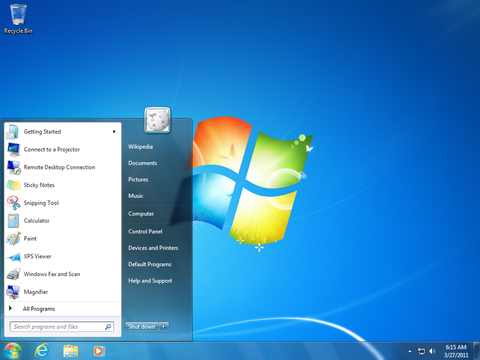 Windows 7 sets up a few things super fast and..
My Windows 7 desktop is here! Ready to go! Overall a pretty easy installation really. This would be a breeze to walk someone over the phone with, and most somewhat savvy computer people can surely do this on their own. I didn't need any special computer knowledge, or really any knowledge beyond reading to understand this.